The financial hit is among the larger fines assessed by the Gambling Commission in recent years, and continues the regulatory body’s recent record of serving as a clawback channel in cases where gamblers obtained their initial funds through illegitimate means, then gambled those funds away on UK-regulated sites. 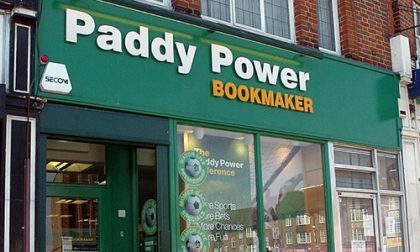 The £2.2 million penalty slapped on Paddy Power Betfair consists of two main elements: a £500,000 compensation payment to be split among one or more of the original victims of the five cases brought to the UKGC’s attention, and a £1.7 million payment to GambleAware. GambleAware is the UK’s largest independent charity which commissions research, education and treatment services to reduce gambling related harm in Great Britain. Paddy Power Betfair will also pay an additional £50,045 to cover the UKGC’s investigative expenses. Simon Price and Alayna Warner, following their 2017 arrests. The five cases from 2016 investigated by the Commission include at least three instances where Paddy failed to identify clear signals of addictive gambling behavior, and two cases where the company allowed customers to gamble funds stolen from third parties. One of those two cases involved Simon Price, formerly the chief executive of the Birmingham Dogs Home, who along with his wife, Alayna Warner, embezzled £894,754 (about €1m) from the animal-welfare charity over four years from 2012 to 2016. Most of the money went to feed his gambling habit, specifically his heavy wagering on Paddy’s Betfair-branded exchange. During the investigation and trial, Price estimated to police that he had gambled and lost about £700,000 at Betfair, though that estimation was likely high, as investigators were able to find other significant expenditures by the couple, and also likely had willful compliance from PPB to determine Price’s exact wagering history. Simon Price was sentenced to five years in prison for his embezzlement from the charity, while Alayna Warner received a two-year suspended sentence. The majority of the £500,000 (or more precisely, £498,508) in compensation funds appears earmarked for payments to the original victims appears headed to the Birmingham animal charity, though the UKGC’s top-line statement on the fine did not detail the precise split. Richard Watson, Gambling Commission Executive Director, said: “As a result of Paddy Power Betfair’s failings significant amounts of stolen money flowed through their exchange and this is simply not acceptable. Operators have a duty to all of their customers to seek to prevent the proceeds of crime from being used in gambling. Paddy Power Betfair was also obligated to publish its own formal mea culpa in addition to paying the hefty fines. Paddy Power Betfair Peter Jackson said: “We have a responsibility to intervene when our customers show signs of problem gambling. In these five cases our interventions were not effective and we are very sorry that this occurred.